Just Listed :: Charming Woodstock Traditional! Welcome Home! Located on a quiet cul-de-sac, this is just the home you’ve been looking for! The open floor plan, custom features, and charming character will never go out of style! The close proximity to I-575, GA400, and Highway 92 makes it convenient to and from any direction. 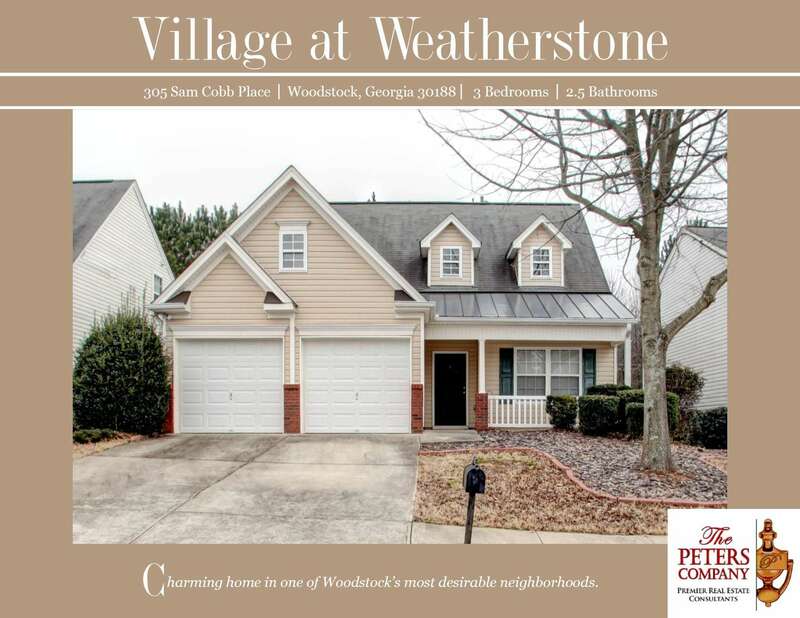 You’ll enjoy being only minutes away from many popular restaurants and shopping spots in both Woodstock and Roswell! · Kitchen features granite countertops, ample cabinet space, pantry, and spacious breakfast area. · Open family room boasts a vaulted ceiling, gleaming hardwood floors, and cozy gas fireplace. · Main level master suite is a true retreat including a vaulted ceiling, walk-in closet, and bath with double vanity and garden tub. · A main level flex space would be ideal as a 4th bedroom or home office. · Two car garage easily fits vehicles and even has a built-in electric car charging station. · Wonderful outdoor space includes a patio leading out to the flat backyard. · Neighborhood amenities include a well-maintained pool, tennis courts, and playground.